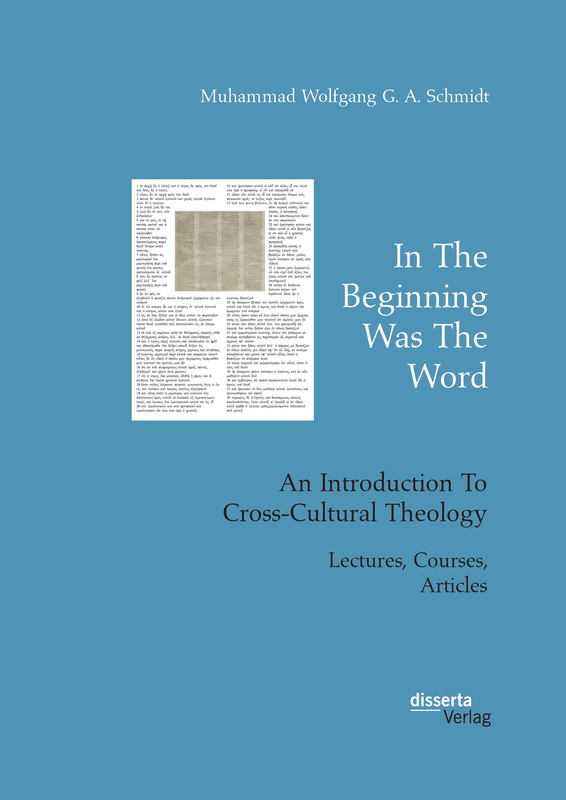 This book contains Lecture transcripts, entire courses and articles the author has produced in the last 16 to 17 years in a highly cross-cultural setting by lecturing and designing a number of undergraduate and graduate courses addressing seminary students in Africa, Asia and the Caribbeans. Most of these texts are in English, and only four articles are in German. There is also a strong emphasis on Comparative Religion focusing on African Traditional Religion, Buddhism, Islam and Christianity. A comprehensive subject index concludes the material covered in this book. 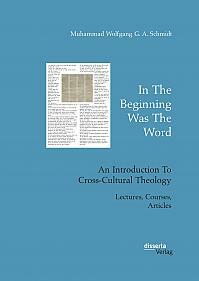 It can be used as a complementary textbook in high quality seminary courses at undergraduate and graduate level. Text sample: Chapter 2: The Nature of the Church and the Function of Leadership: The Church as the Body of Christ is an institution and as such a proclaiming and worshipping community centering on a central place of worship in the respective community - which normally is the local church building/premises. The term ‘community’ also essentially implies that its characteristic feature is an association of people gathering for proclamation and worship and that this is not only an individual matter to be conducted individually at home without contact to other believers. Whenever a group of people is involved, the question concerning group structure and functional hierarchies, if any, involved comes up - however large or small such a community group may be. If it is a smaller community group, the personal contacts will be more direct as it is easy and quite normal that each individual personally knows the other more intimately, and it is less likely that such interpersonal contacts will be so close in case of local communities where there are 100 believers or even more. Different individuals forming such a community essentially also imply different talents personalities and temperaments of such individuals involved and in one or the other such different personal profiles may also affect community life. Another important preliminary factor determining community life in addition to the different personality profiles involved is also the sociological structure of such a community and the certain personality patterns associated with such sociological strata: A church community in the country side primarily made up of farmers and their families may vary in ist average personality profile with respect to the set of all ist members from a community in typical working class urban areas, and the latter may even vary in certain respects from those in more middle class urban areas. Third, in some cases the parameter of ethnicity or nationality minority may play a role in cases of multicultural areas in urban or rural community life. There are even cases where ministry addresses a special group of people (‘clients’) in a pluralistic society, prison or hospital ministry, for instance. As soon as any of these particular groups form an association in proclamation of the gospel and the worship of God, they constitute and form churches at the respective local level in the dimensions of space and time. If the organizational structure of such a church community is to make the community life work and to stabilize ist existence, it is evident that certain people may be assigned certain functions on behalf of the community - typically, these may elders, pastors, teachers, and even social workers taking care of the sick and needy in such a community. This also would imply that certain leadership functions might be developed if the focus on proclamation and worship of such a church community is to be filled with real life. Naturally, the church had developed different approaches to leadership structure in ist more than 2000 years of history. Charles C. Ryrie mentions some of the most common approaches to leadership structure in the church during the course of time in his work BASIC THEOLOGY (Victor Books, SP Publications, 1986). He offers the following inventory of structures developed during the course of time: a) Minimalist structures: groups that attempt to restrict their organizational structure to an absolute minimum, mostly led by a small group of elders. They emphasize the office of spiritual gifts by all members of the community, church community member- ship is considered to be of less importance, and they would primarily insist on the role of Christ as the Head of the Church (Quakers, Plymouth Brothers, for instance). B) Structure of State Churches: a group of local church communities organized at national state level or on a national level. The Church of England may be a good and typical example, in Germany it is the Lutheran church with an important difference to the Anglican Church and the Lutheran Churches in Scandinavia: They are not directly controlled by the State and are autonomous in terms of self-administration and inner-church jurisdiction. They have certain privileges such as the church tax collected by the state-run Tax Authorities. In terms of their inner organizational structure, they have bishops, ‘sub-bishops’ (in Germany called ‘superintendents’), and a centralistic form of internal power structure with a ‘well developed” bureaucratic apparatus. C) Hierarchical structures: The Roman Catholic Church and the Orthodox Churches with priesthood, sometimes organized in special monastery orders, along with strictly hierarchical structure of office and position in ministry. Also Methodist churches may be listed here. Authority of office in the Roman-Catholic Church is tied to the hierarchy with the Final Authority being tied to the office of the Pope as the Bishop of Ro- me. Some structural features resemble those of the State Churches mentioned under b). D) Congregational structures: locally entirely autonomous, decision taking by members themselves, with leaders elected from among the members, normally cooperation with other local congregations. E) Federational structures: the individual members of the church community may confer (delegate) their rights of function and position to certain leading personalities acting on their behalf, in case of denominations or an association of church communities (parishes), such rights or competencies may even be conferred to organizational levels above the local church community (Presbyterians and Reformed Churches). This is not the place here to discuss the advantages and disadvantages of either structure by comparing them with each other. As the central point of interest here is the function of leadership, we should focus here on how the concept of leadership is implemented in each case of church community structure. To ask this question is of primary importance to the claim of priesthood for every believer and with respect of how leaders conduct their powers in certain structures to the benefit of the entire Body of Christ at local church community level, not being dictators but spiritually responsible servants to the community as a whole. In this con- text, we need to have a vertical scale from most centralistic at the top level to the most decentralized at bottom level in mind, and now we could attempt to place all those structures mentioned somewhere on this scale. It may then appear that those structures with a decidedly centralistic structure of organization may be nearer to the top level of such a scale , and that those with a decidedly decentralist structure of internal organization would be nearer to the bottom level of such a scale. Typically, most of these structures mentioned would have to be placed somewhere in between the top and the bottom level. Such formal structures are not the only parameters in assessing the amount of ‘democracy’ in a church, if there is to be any in it. A second parameter also is how each church community or even an association of church community would define them- selves in terms of ministry office: Do their functionaries see themselves as acting from a position of service or formal position associated with certain privileges and prerogatives? A third determining factor may be historicity under which church structures develop and continue to exist: are they under persecution or not, and if so, do they adopt a rather authoritarian and centralized form of leadership for the sake of survival? Fourth, what has been and is the relationship between church and state in previous history and how is it defined at present? Fifth, the matter of Biblical doctrine interpretation may finally be a determining factor - the division of the universal Body of Christ into so many denominations is a fact to be regretted but a historical result of differing opinions in the interpretation of the Biblical texts relating to the office of ministry, church community structure and even doctrinal issues relating to certain aspects of faith ( trinity, transsubstantialisation issue in case of the Lord’s Supper among Lutheran and Reformed Churches, etc.). All these aspects may determine answers to the basic question under consideration here: How do church leaders define themselves in relation to the Body of Christ as a whole and the scripture-based spiritual tasks associated with it? I consciously refrain from answering this question here in a more general sense as it may lead to a ‘denominational’ point of view that under all circumstances should be avoided. I personally believe that if a church has experienced severe persecution not such a long time ago and if it is now, in these days, given the privilege to exist peacefully with all persecution having come to an end, then it has high responsibility to maintain this status, only follow the Bible as the only guiding authority with one important rule in mind: Do not accept anyone above you except God and His Son to control your life and determine the rules of ist conduct. As you may have seen so many instances of power abuse in the past, then you must do all you can to prevent such abuse of power in the future. And as, due to the human factor in all of us, everyone may fall to abuse of power in one case or the other, we for our churches have to make sure that it cannot so easily happen again and that the consequences may not be so drastic and dreadful as has been in the past. Bewaring of power abuse concretely applies to two basic fields in the post-persecutional period of the church: the role of leadership and structure of interaction between Leaders and the church community as a whole inside the church, and the conduct of relations between the church as a whole to state institutions and society outside the church. One (of perhaps other) possibility(es) of implementation is to follow a strict policy of decentralized power structure inside the church and a strict focus on autonomy at local level, even in case of a loose association of churches within a Federation, for example. Exercise of direct democracy (control) at local parish level is an absolute must the role of elders, teachers, and pastors is here one of mediation in bringing differing opinions together and maintaining the Biblical basis. All who have an office, either paid or unpaid, are servants and not less or more equal than anyone else in the church. Outside the church, we need to maintain a position of absolute self-reliance and independence in relation to state institutions, for example with respect to Finance and other privileges granted on the basis of respective State Law. This also applies with respect to sponsoring and fund raising for charity and other social projects. To distinguish clearly between those things due to God and those due to the Emperor is a crucial issue, and even in times of non-persecution there are so many potential risks of ‘being corrupted by the world‘ that very close attention must be paid not to run into these kinds of traps. With these guidelines in mind, people like me would like to define their role in ministry, and it may be admitted that such an approach may not necessarily be everyone’s soup’- but it is one of the approaches possible, and sometimes we do need to accept the fact that there are many ways leading to Rome. The Most Reverend Dr. Muhammad Schmidt is a consecrated bishop in the Anglican rite and has worked as a seminary educator for several decades worldwide. He is also a linguist and a language teacher qualified in German, English and Chinese and he has various widely read publications to his credit in his fields of expertise.